Relying on skill and strength to raise up skyscrapers and spruce up homes, construction workers routinely face difficult and dangerous working conditions. Now a Massachusetts study has identified an overlooked hazard linked to their jobs: fatal opioid overdoses. The report by the Massachusetts Department of Public Health found that nearly a quarter of overdose deaths in a five-year period occurred among people, mostly men, who work in construction. Farmers and fishermen also had higher-than-average rates of overdose deaths. The common factor: Workplace injuries occur frequently in these occupations. The report, released Wednesday, paints a disturbing picture of workers hurt on the job, taking addictive painkillers, and needing those painkillers to keep working at jobs they would otherwise lose. A lack of job security and sick pay — often the case in high-injury occupations — were also factors linked to higher rates of overdose deaths, the study found. “Ensuring that jobs are safe, that the risk of injury is low, and that workers have the time for rehabilitation and are not self-medicating to keep working are all key to decreasing opioid overdose deaths among workers,” Dr. Monica Bharel, state public health commissioner, said in a statement. The report cites other research showing that injured workers are commonly prescribed opioid painkillers, which can lead to addiction. But it’s not clear to what extent they also rely on illicit drugs. Jodi Sugarman-Brozan, executive director of the Massachusetts Coalition for Occupational Safety and Health, an advocacy group for workers’ health, said that many workers face delays in the worker’s compensation system and take painkillers while waiting for care. “There is a lot of pressure to work in pain,” Sugarman-Brozan said. Funded by the US Centers for Disease Control and Prevention, the study analyzed the death certificates of 4,302 Massachusetts residents who died of opioid-related overdoses from 2011 to 2015 and whose death records listed an occupation. Construction workers were six times more likely to die from an opioid overdose than other workers in Massachusetts. A relatively small number of people work in farming, fishing, and forestry — but their rate of overdose deaths was five times the average for Massachusetts workers. 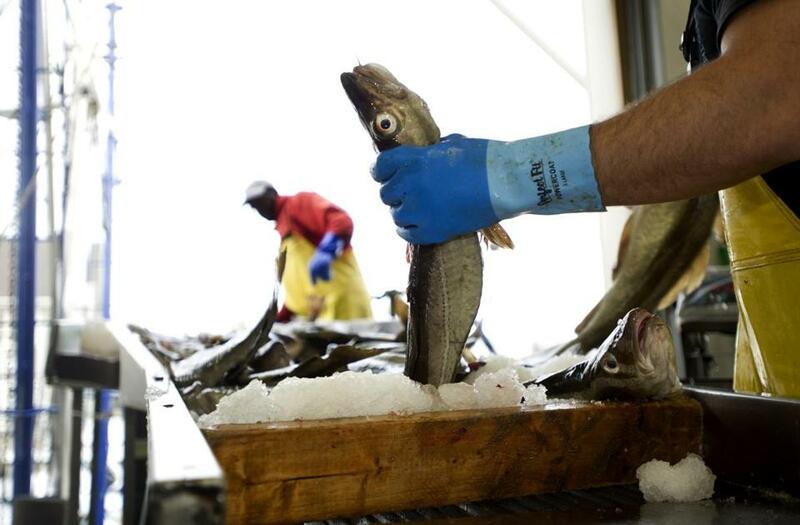 A fisherman sorted freshly caught cod at a fish off-loading facility in Gloucester. Other occupations with significantly higher-than-average overdose death rates included material moving (a broad category that includes workers moving freight, industrial truck and crane operators, and packers and packagers); installation and repair; transportation; production; food preparation and serving; building and grounds cleaning and maintenance; and health care support. Among women, those who worked in health care support and food preparation and serving had higher rates of overdose deaths. “We need to pay more attention to preventing those injuries so that workers are not working in pain,” said Leslie I. Boden, professor of environmental health at the Boston University School of Public Health. Boden said his research has shown that injured workers die more frequently from drugs and suicide. Workers who will be unemployed if they don’t show up “might very well decide it was better to use opioids than to risk losing their job,” Boden said. Dr. Zev Schuman-Olivier, medical director for addictions at the Cambridge Health Alliance, found the study “unsurprising” based on his experiences with many patients who work in construction. They tell him drugs are readily available on job sites. “It’s incredibly common for people to report that other people in their workplace have pills,” he said. The problem may “go both ways,” Schuman-Olivier said. 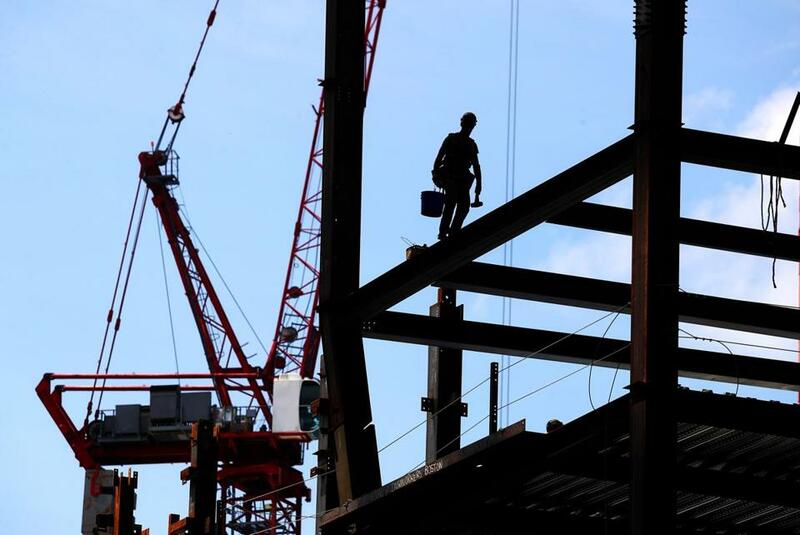 People become addicted after getting injured in construction work — and people who are struggling with addiction or in recovery tend to go into intermittent construction jobs. “Construction can be a difficult job for people in recovery because there are many other people who have access to pills on the job,” he said. He called for organizing construction teams in which everyone is in recovery and supporting each other. Construction workers face other obstacles to recovery, according to Schuman-Olivier. Job schedules make it difficult to maintain treatment regimens, such as regular doctor or clinic visits and support-group meetings. Also, he said, some union-sponsored health insurance plans do not cover buprenorphine, a medication commonly used to treat addiction. Fishermen perform one of the most dangerous jobs in the United States, with a work-related death rate 25 times the national average. They also face unique challenges with pain and addiction, said Brian Coonan, regional director for operations at CleanSlate, a chain of outpatient addiction-treatment centers. CleanSlate has worked with many New Bedford fisherman, he said. Fishermen go out to sea for two weeks at a time, and then are required to wait two weeks before looking for their next job. If captains suspect they have a drug problem, they won’t get hired. And being at sea for two weeks makes it all but impossible to stay in treatment for addiction, which typically requires regular visits to doctors and counselors.